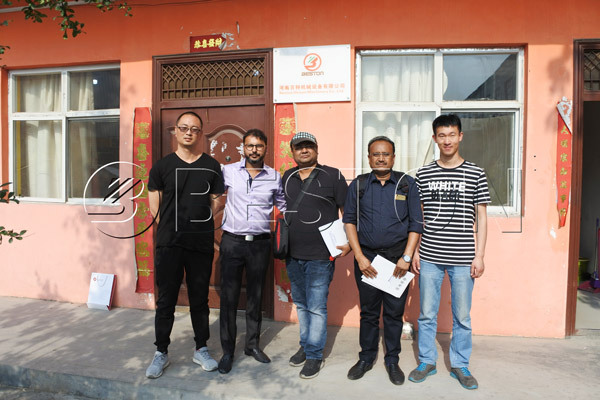 On 22nd June, 2018, Indian customer Raipur and others visited Beston biomass carbonization furnace manufacturing plant. We warmly welcomed their arrival. If you have interest in visiting Beston manufacturing plant, coming here is available at any time! Indian customer had a simple understanding that the charcoal making equipment can make charcoal by using wood, coconut shell, peanut shell, rice husk, sawdust, bagasse, etc. The purpose of their visit is to learn the production process and the quality of the machine. After learned about the situation, they would find out whether the charcoal making business is suitable for their market or not. Accompanied by our experienced business staffs, they saw the whole production process, from feeding to discharging. Then, they had a clear understanding about this biomass pyrolysis process. Besides, they were extremely impressed by the output ratio of charcoal, wood vinegar and tar. They thought it was an excellent project that turns the waste biomass into resources. In addition, there is no pollution but a energy-saving system. Finally, we provided a feasibility study report of charcoal making plant. This report would help them to better know the local marketplace. 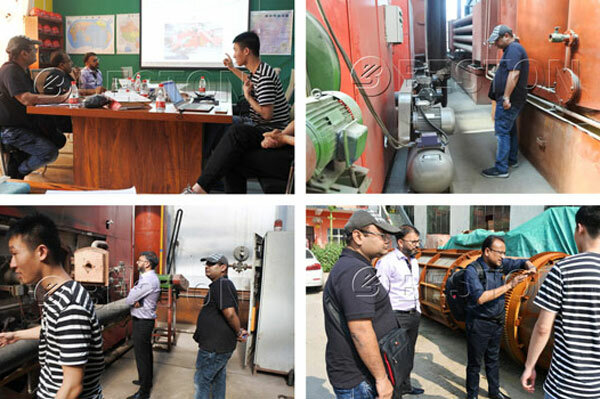 At the end of this visit, Indian customers expressed the high appreciation to Beston biochar production equipment. They were looking forward to the cooperation in the furture!